This 12-page full-color brochure features all of Mayco's Stroke & Coat glazes including their latest colors and product information. 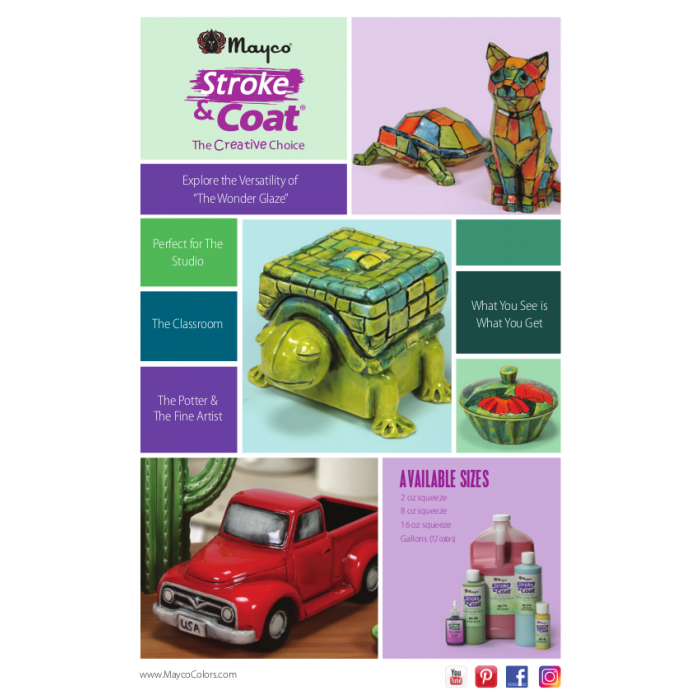 The brochure contains helpful tips and information regarding the use of Stroke & Coat glazes in a variety of creative techniques. Brochure measures 5.5" x 8.5".